Relate Cheshire and Merseyside are staging their second 60's charity concert, an evening packed with nostalgic music by two legendary bands. 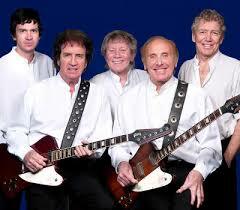 Headlining will be The Merseybeats who will be supported by The Swinging Blue Jeans. Two Merseyside bands who have been performing to audiences for over 50 years each. Don't miss those much loved classic foot tapping songs which will include Sorrow and I Think of You from The Merseybeats combined with The Hippy Hippy Shake and Good Golly Miss Molly from The Swinging Blue Jeans.